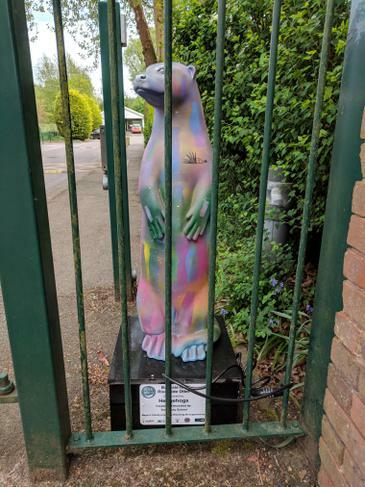 Banksy, the Abbey otter, decorated by students at the school, is now on display by the main pedestrian gate. Do have a look next time you are at school. He is one of 44, metre-high otter sculptures forming an art trail around Farnham to celebrate the return of wild otters to the River Wey. Most have involved collaboration between artists, charities, businesses, schools and other community groups. Our otter was sponsored by Farnham Hedgehogs and decorated by students under the direction of Mrs Smith.